This is a favourite topic of mine – the sound of the performer. Having recently performed with some top notch western classical musicians, I couldn’t help but contrast their sound to the school teachers who teach music to kids. The sound is completely different. What constitutes a “sound”? I’m not big on scientific theories of acoustic analysis, but it comes down to the texture, feel, emotion, accuracy and a whole lot of other things. There is a distinct difference in the sound of a Ustad Amjad Ali Khan and other sarod players even though they may be playing exactly the same notes. Ditto with sitar and sarangi player. Getting our sound right should be the first priority of any student. This involves attention to detail. Is the note pitch perfect? When you do a meend (portamento/glissando) from one note to the other, is it just right or rushed? Is the stroke volume ok? Is the string change clean or did you just brush past some other strings in the process? Did the tarab strings light up as you played the notes ? Was the landing on the sam correct? While it is impossible to match the sounds of the all time greats, I feel we can go a long way with riyaaz. Musical content is secondary – you must sound good first. Anyone who has listened to any of the well known maestros without any knowledge of music can attest to that. In the sarod, the overall sound of the musicians is improving. 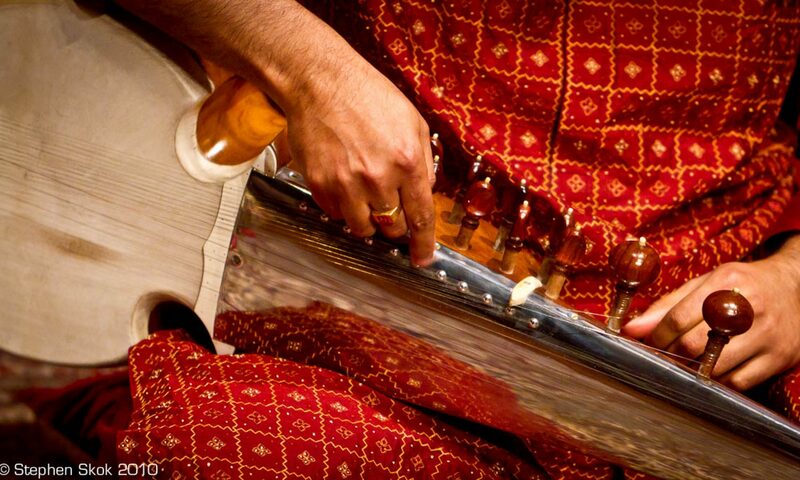 From the rough sound of the rabab to the refined sound of the sarod is a journey. It is encouraging to see musicians lift their game on this one, and not focus on the “clackety clack” pluck attack type of wooden sound that so typified the sarod playing of the early 20th century. The pinnacle of consistent clean sound on the sarod is Ustad Amjad Ali Khan. Every note is clean and delivered perfectly, even at full speed. He has always been the benchmark of sound on this instrument, and its most capable technician, bar none. Another musical institution lost to Indian Classical Music. My exposure to Bhimsen Joshi began in the most non-classical setting. There was a television serial called Raag Darbari (based on Sri Lal Shukla’s novel of the same name). As the title montage would come on, there was a powerful voice singing in the same raag for about 10-15 seconds with the lyrics “Darbari ke saat suro me… saat rang hai, tere mere” (Translation: In the seven notes of Darbari, there are seven colours, yours and mine…). That was Pt Joshi. Years later, I heard him live at Siri Fort Auditorium at a concert called Morning Ragas. I could barely afford the tickets – he started at around 11 am with Raga Jaunpuri. I still remember the drut khayal – not the usual Payal Ki Jhankar, but Sat rang sune gayeji (don’t remember the full lyrics). Interestingly, Srinivas Joshi, his son, was studying at IIT Delhi at the same time (I think he was doing his Masters – I was an undergraduate) and it was widely known that he was not the least interested in music and kept a very low profile. I was surprised to see that he had turned into a vocalist.